The Grand Hotel Bonanno is a prestigious four stars that takes its name from the architect who began the construction of the Tower, the symbol of the ancient magnificence of Pisa. Just 800 metres from the Leaning Tower and the old town centre, strategically placed near the main road of access to the town (SS1 Aurelia), the Grand Hotel Bonanno is the centre of every destination of interest. Monuments, university, railway station, motorway, the Galileo Galilei International Airport, and the Congress Hall are not far away from the hotel. The Grand Hotel Bonanno has 89 rooms, some of them with balcony, all equipped with air conditioning, and SAT TV, mini bar, hair dryer and safe. 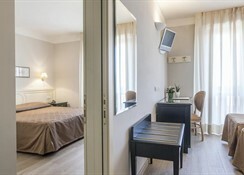 The Hotel has also 6 Junior-Suite and disabled room. Furthermore the hotel has a free private parking area and a garage. Free Internet. **City tax not included in the room rate. NOTE: The City tax will be paid at the hotel. 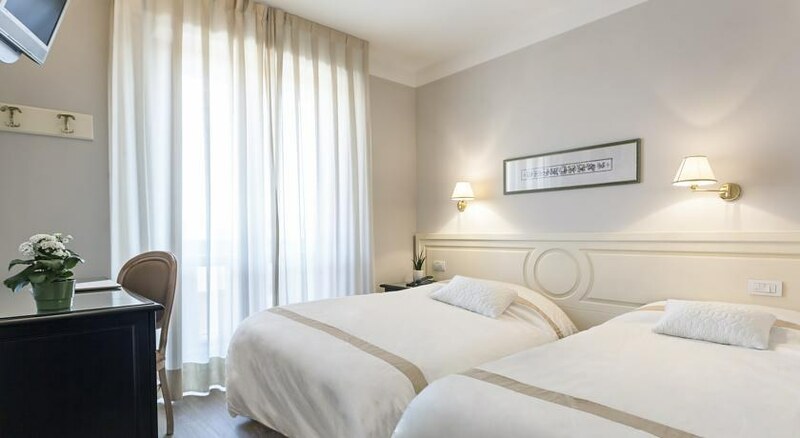 The Grand Hotel Bonanno enjoys a strategic location close to the city of Pisa, Italy, ideal for the historical centre, conference centre, airport and train station, and the pretty River Arno. 10 Just 10 minutes' walk from the Leaning Tower, this casual hotel has 89 attractive guest rooms suitable for leisure and business visitors, complemented by Wi-Fi Internet access, friendly service and warm hospitality. Start the day with a spring in your step, and return to relaxing comfort, at the well-equipped Grand Hotel Bonanno. Getting to the Hotel: The hotel is 500 m from Pisa San Rossore Train Station. The airport is 3 km away. Local Tips: The hotel is in a perfect position for visits to the riverside, the old town centre, and the Palazzo dei Congressi, and more! Enjoy authentic Tuscan hospitality while on holiday or business in Pisa! Dining: Grand Hotel Bonanno is booked on a Bed and Breakfast basis. The hotel restaurant serves breakfast along with an a la carte menu. Guests will also enjoy the modern-style bar, and drawing room. Additional: 24 hour Reception services, free newspapers, bike rental, housekeeping, taxes included, air conditioning, parking. An incidental residence tax is not included (payable locally). 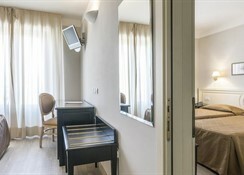 Perched in beautiful city of Pisa, this modern hotel is a perfect base for holidaymakers and business travellers. This elegant property affords visitors ease of access to the most important city attractions including the famous leaning tower and the impressive cathedral on the quaint Piazza dei Miracoli. The establishment prides itself of beautiful design and excellent facilities and services. The hotel rooms welcome patrons in sun-lit and delightfully appointed surroundings that exude warm and homely atmosphere. There are disability-friendly rooms for guests' added convenience. The charming restaurant invites guests to enjoy a culinary journey through Tuscan cuisine, which might be followed by a drink from a snug bar. Nature lovers may unwind in the lavish and verdant garden, while corporate guests may take advantage of versatile meeting room. 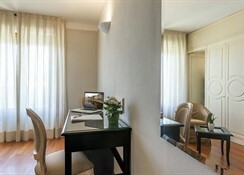 The Grand Hotel Bonanno features 89 rooms decorated with modern decor in neutral colors with traditional furnishings. 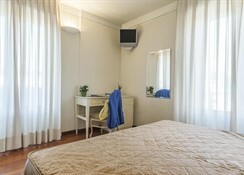 All rooms have Satellite TV, wireless high-speed Internet, minibar, telephone and safe. Each bathroom has complimentary toiletries, hair dryer, shower / tub and bidet.